We have just finished our district level KSSR course for both BM and English at Seafest Hotel, Semporna. It was a four-day course (8th to 11th November) with only 30 over participants for both subjects (Kunak is a small town, comprising of only 15 primary schools). I cannot speak on behalf of the other participants, but as far as my humble observations go, everything seems to be in order. We had a group of very committed and hardworking teachers as participants, and all the facilitators were very happy about the outcomes. But more on that in my next post. For now, I would like to concentrate on a continuation of my previous post on the above topic. (You may read it here: Part 1). 1. Curriculum Documentation - The Syllabus and Curriculum Specifications are replaced by Standard Document and the Content and Learning Standards. 2. Curriculum Organisation - Modular Structure is being introduced in KSSR. The three broad areas (World of Knowledge, World of Stories, World of Self) and the integration of skills that we have in KBSR are still retained. 3. Curriculum Content - KSSR would still focus on the four language skills. What we know as Sound System in KBSR would be replaced by a broader and more focused Basic Literacy with an emphases on Phonics. Apart from that, we would now have the Language Arts component (my favourite!) and also penmanship. Grammar is still going to be taught in context. 4. Approach - The most significant change in pedagogy, from my point of view. For KBSR, we have the Whole Language approach. Under KSSR, it is going to be replaced by Phonics. 5. Added value: Under KSSR, we would have Creativity and Entrepreneurship in addition to Educational Emphases. Now look at number 4. The Approach. In my previous post, I have discovered how the Whole Language practitioners are at odds with the Phonics proponents in a number of ways through my cursory reading of a few resources on the Internet. For ten years, we have been comfortable with the Whole Language approach under KBSR. Now, through KSSR, most probably we are about to see the pendulum swings to the other side. The Malaysian Curriculum Development Centre, through its extensive researches, has concluded that phonics would be THE way to go in this new curriculum - most probably until the next revision in 2020. Whether we like it or not, it is going to be in our system for the next ten years. So, as a teacher, what would you do about it? My suggestion would be: before we pass any judgment or being negative about it, it would be fair to get to know more about it first. This is because more often than not, negativity usually stems out of unfamiliarity. To know is to love. As Abraham Lincoln puts it, "I don't like that man. I must get to know him better". Getting to know someone, or something that you do not like better would make a big difference to your mindset, and attitude towards it, as whole. According to Chitravelu et al. (1995) in ELT Methodology: Principles and Practise, phonics or phonemic approach is a system of teaching reading that pays "special initial attention to helping children see the relationships between the sounds of English and the letters or combination of letters that produce them". At first, isolated sounds are learnt and then the skill of putting sound together to form whole words is taught. 3. that once he gets the pronunciation of the word, he will understand what he has read. (Chitravelu et al. (1995), ELT Methodology: Principles and Practise, Fajar Bakti, pp. 99 - 100). I bet many Malaysian teachers would not find phonics as being totally alien to our system. Many English teachers, especially optionists, are already being exposed to it in College or University. In school itself, in addition to the KBSR textbook, we do have Readers programs such as the Sound Start and the Ladybird series that focus on phonics as the main approach to teaching reading. So, all in all, phonics is not something that is totally new to most of us. What would be new is the use of phonics as the MAIN approach to teaching reading. Looking through the new KSSR textbook (or Module, as they prefer it to be called) and imagining going about the lessons in the classroom, one could not but be reminded of the puppets (or is it muppets?) in Sesame Street animatedly vocalizing the sounds of /k/.../ae/... and /t/...repeatedly and in dynamic paces, and in the process combine the sounds together to produce the word 'cat'. For the sake of comparison, I suggest that it would be best to refresh our minds a little bit on what the Whole Language approach is all about. Whole language reading instructions is also known as the 'Look and Say' or 'Sight Words' method. It describes a literacy philosophy which emphasizes that children should focus on meaning and strategy instructions. With Whole Language, teachers are expected to provide a literacy-rich environment for their students and to combine speaking, listening, reading and writing. Whole Language teachers emphasize the meaning of texts over the sounds of letters, and phonics instruction become just one component of the Whole Language classroom. Whole Language is considered a 'top-down' approach where the reader constructs a personal meaning for a text, based on using their prior knowledge to interpret the meaning of what they are reading. In KBSR, the Whole Language approach is being implemented through topical lessons arranged in such a way in the KBSR textbooks to provide the students with ample opportunity to learn reading in context. Under KBSR, the integration of the four language skills is vital - each and every English language lesson plans must contain all the four skills. This is perhaps another one of the most significant change that the Curriculum Development Centre has decided to adopt in the new curriculum. Though integration of skills is still important in the new KSSR, the Modular Concept requires that only one skill is being focused on at any one time in any lesson. Experts in education has labeled the Whole Language as an approach where children are allowed to learn how to read through natural means, and in context. Under this method, children are given the opportunity to be exposed to as many sight words as possible. There should be no rote memorization where the children are being 'forced' to remember sounds, rules and patterns. Proponents of the Whole Language approach has maintained that this is the best way to teach reading to children, because it is more fun, natural and 'child-friendly' as opposed to the Phonics method which according to some, is 'boring' and 'mechanical', and to some extent, 'more suitable for more matured learners'. For ten years since the implementation of KBSR in 2001, this has been the main approach to teaching reading in all Malaysian primary schools. 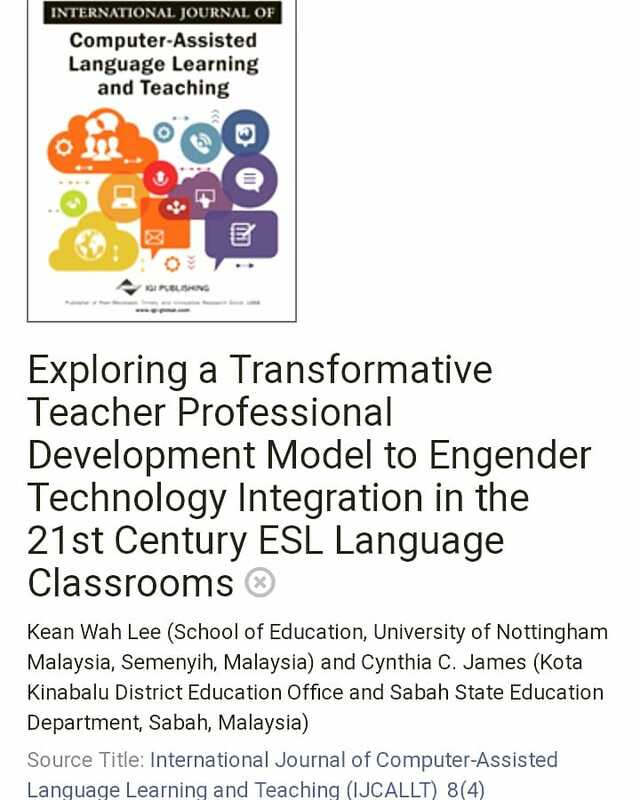 Reading through several Malaysian educational resources for TESL which were written before the year 2000, I realize that at the dawn of the 21st century, the Whole Language method is considered the 'in' thing, the modern, more relevant, more pro-active approach whilst Phonics is beginning to be viewed as somewhat 'conventional' and 'old-fashioned'. I might be wrong (as far as the Malaysian education system is concerned, I am somewhat comparable to a toddler who is just learning how to walk), but that is the idea that I get. Even if we look at international resources for the history of both approaches, the ongoing debates, and the opinions of proponents and advocates from both sides, we can see that though Phonics has an equally large number of supporters, the Whole Language is always considered more 'hip' and 'trendy'. Why? Simple. Because Phonics is indeed a conventional method, while Whole Language is considered revolutionary. But I would not go into that in this post, let's save that for the next one. Pondering over this, I think it is understandable why our curriculum planners would want to apply the Whole Language aproach in our system back during the beginning of the KBSR era. It was seen as the best approach during that time, the most relevant, the one that would fulfill the needs of our students the best. After ten years, however, we see a change taking place. We are getting back to Phonics. Or, as outlined by one of the basic principles of KSSR - we are getting 'back to basics'. Naturally, the unspoken question lingers. 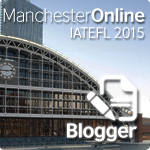 Has the Whole Language approach failed? Has KBSR failed? As much as I would love to answer this now, this is beginning to get somewhat long and windy. Heheh. So why not stop here for now, and I'll pick up where I left off in my next post. Till the next post, thank you for reading. (To read Part 3, click here).